I found a great iPad app recently called, Book Creator. I was very interested in having a go at this as I have quite a large collection of really good design books in my class room, but most of them have way too much in them and tend to put the students off a little. I thought that something like this app would give me the opportunity to cherry pick what I wanted to put across to the students and illustrate it myself. The options on this app are to upload to iBooks or output as a PDF. I was going to go the PDF direction and link these over to my DVC site. This plan changed yesterday when Dorothy introduced me to an online little gem called FlipSnack. On this, you can upload a PDF and it converts it into a really cool little book that you can turn the pages of. The embed code gives you the chance to embed this where you want! Here is a short sample of my book. I have only got the first section of it completed yet so it needs a lot more work, but I was too excited by this not to have a go. I can see all sorts of things coming from this small start!!! I have just tried it on my site and embedding the code works really well... have a look here. To e or not to e ?..... Blended or eBlended? I am actually finding it easier to blend everything this year. My classroom has 6 desktop computers (pc's) which have Photoshop and Illustrator on them, as well as being able to go online, and the students bring their devices (either netbooks or chrome books). In DVC, we have always had to do research of existing products and analyse them. BC ( before computers ), this was a case of cutting pictures out of catalogues and magazines. Then it was booking a computer suite when one was available. Now it is when we need it, in front of the students, at their finger tips. What is this product made from? How is it constructed? Instant research available. The students are finding it easier and quicker to write their design briefs and specifications and analysis online, on either a Google doc or Google drawing, as feedback from me can be actioned without whole rewrites on paper. Using Google drawings to produce analysis diagrams is quick and easy, with no need to wait for printing of images that they want to use. The drawings we do have always had to be done on paper, and I personally don't want to see that change. It is a skill that is vital for design work, getting ideas out of your head and down on paper. Rendering those drawings, to get the surface and the lighting right is also a skill that is needed to be on paper. Yes, I know you can get awesome effects using computer programmes, but if you understand the concepts by hand, then applying them with other methods becomes easier to understand. I also think that about model making. Online testing and modeling is all very well, but sometimes you just need to hold the design in your hand, in 3D, there in front of you. Typing up analysis notes about design work online is easier for some students than writing it next to their designs as they don't feel under pressure to get it correct the first time. No one wants to stuff up notes next to a drawing they have spent some time on. This is why I have been trialling scanning the drawings this year, so they can write their analysis notes online, next to the scanned version of their work. The same with the photographs of the their 3D models. Saying that, my class have been trying out an online design programme called Floor Planner this term, to help them with the layouts of their batch designs. It has proved an interesting experiment, and I am getting Level 2 and 3 students producing design layouts at home and coming in to school keen to show me what they have been doing! Being able to photograph all the testing and modeling during the design development process has been great this year. I always have my phone in my pocket which has a decent camera on it and then the students are responsible for getting their photos from Flickr after I have uploaded them up there, to put in their project sites. This is WAY easier than me printing them all and then the students spending way too long cutting them out and sticking them in their books. So, if I was to sum up, I feel that this blended approach has made it easier for me and the students. Obviously, to start with, nothing is smooth and easy. We have had bumps. Now we are in the flow, it is going ok, with lots of improvement room and plans for trying new things and making it better. I like the term blended, without the e, as this reasons that I am using the "e" as just another tool to do the work we need to do, not be the end result. The focus is on the work and the learning. We get to choose from a wider variety of tools now, that is all. After the session last week on Glogster, we had a lot on interest in using it in the classroom. Carol, the Food Tech teacher was very interested in its use in her subject so we had a go on Friday morning. While her intermediate class were busy with their practical work, I went round with a video camera, videoing the students doing all the steps in the recipe. and when Carol was doing the main skill demonstration of rubbing in, that was videoed too. The 2 videos were quickly put together on iMovie and hosted on YouTube. The Glogster was put together to be an interactive recipe, with the recipe in the traditional style, but the method done as a step by step video. The skills video is very similar to the style of recipe apps you can get on online with built in videos. Carol is very happy with the outcome and intends to embed this onto her Google site. She is very keen to make more of these. We had a session this afternoon after school for those teachers who want another option to making posters using paper, scissors and glue. It doesn't matter what subject you do or the age of the students, we all make posters to present work, give information or explain things at some point. To make this an online activity, we mainly looked at Glogster today. This is a free online poster making tool, but it is more than that. You can embed videos that play on the poster and add moving GIFs to them too. This makes it very adaptable to individual needs and the staff who came to today's session went away very excited about the possibilities of what they can do with it in their subject areas. We discussed doing screen shots of the students work on Google docs, spreadsheets, graphs etc, and uploading these to Glogster as a different way for the students to present final pieces of work. We also talked about making videos specifically to put onto a Glogster poster. For those students who still love drawing by hand, they can still do that, scan their work in and include it onto a Glogster as a mixed media presentation. Everyone set up their free Glogster account today and had a play with the basics. We then went over how to embed a Glogster onto a Google site. This is easy to do, as you just have to grab the embed html code. You just have to make sure you put it onto the html part of the edit page on a Google site. This is good to know as all out staff and most of the students all have their own Google sites. I look forward to seeing what the staff who came to the session today come up with themselves and get the students to do. We had another after school PD session today for an hour. This week's topic was blended learning. I set up a simple scanner with one of the Asus netbooks, so staff could have a go at scanning work, book pages and worksheets straight into a netbook. I showed them how Google docs rips out the typed words from a worksheet, and lays it out for you. This works for a scan of something or a photograph of a page. I made a "How To" on this topic here. At the moment, Google docs is poor at doing this if there is columns in the page you are converting, as it mixes it all together, but we are hoping for improvements from Google here. I showed the staff how easy it is to install "Simple Scan" onto the netbooks, so they can pass this onto students. It will be good when students can just take their netbooks to a scanner, connect it on and then easily scan the work that they have produced on paper, ready to upload onto their Google drive. Next, I showed them how I use Flickr in DVC to upload the student work. I have links to this Flickr site on the DVC site so it is easy for the students to find it so they can then find the photographs of their own work, download them and use them on their own sites or documents. Link to the DVC Flickr here. I use Flickr for this rather than Picassa as I use my Picassa for images that I want to use on my DVC Google site and I don't want to fill it up with the student work photos. I take a lot of photos as the students are working, especially when they are producing 3D work. Making the students responsible for finding and downloading their own work saves trying to remember who's work belongs to who and emailing it to them. We discussed having some kind of camera available in the class when you know when the students are going to be doing something you will need evidence of. I personally have an iPhone, so I always have a semi decent camera in my pocket. We all work in classrooms where we do a combination of work directly online and on paper in books or 3D. It is good to have a variety of methods where you can get the work online so it can be all together, be able to be embedded onto student Google sites and documents, and appearing on the teacher dashboard to be checked and marked. This saves staff looking in lots of places to find work. It is all in one place. We had a good time after school today, during our regular after school Thursday "help" sessions. 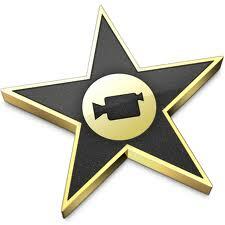 This week, we covered the basics of using iMovie for creating movies. We have already covered using YouTube, so now staff are equipping themselves with the ability to create their own content to load up to YouTube and embed on their sites, rather than relying on other peoples' video content. We started the session by using the Flip video cameras to record a little bit of content around the room and the corridor. Luckily, there was a Media Studies after school session running in the same room, so the students were more than willing to be filmed by staff. We then went over getting the video footage from the camera up to iMovie, starting a new project, what the areas on the iMovie work area are, choosing clips, transitions, titles and music and sound effects. By the end of the hour, everyone had put some clips together and used a variety of the things we had covered. They then saved out their movies as mp4s ready for uploading. Not bad for just under an hour. The students in the room, who were all knowledgable Media Studies students, were amused by staff being taught these basic skills. Cheeky things.